As the West End welcomes an increasing number of jukebox musicals and transfers from Broadway alongside the seemingly immortal mega musicals, many musical theatre fans are calling out for new writing. However, it can be easy to forget that there is a wealth of older, rarely performed musicals, crying out for revival. Lucky London Musical Theatre Orchestra, one of the most exciting forces in musical theatre right now, frequently gives a platform to lesser performed musicals, the most recent of which being Lerner and Loewe’s 1960 musical Camelot, which returned for one night only at the London Palladium, having not been seen on the West End for 30 years! ﻿﻿Starring a five star cast, fronted by David Thaxton as King Arthur, Savannah Stevenson as Guenevere and Charles Rice as Lancelot, LMTO’s Camelot was an outstanding showcase of the often witty and ultimately rousing songs of Lerner and Loewe. The London Musical Theatre Orchestra itself, conducted by founder Freddie Tapner, played the score magnificently as always. Equal parts quaint and bombastic, it was full of Olde English charm. 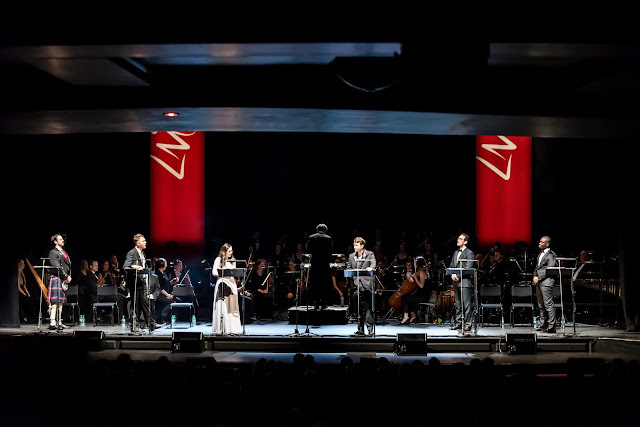 The concert was a real treat from beginning to end, and was an excellent showcase of the virtuosity of both the orchestra and the singers, who were utterly flawless in their delivery of Lerner and Loewe’s medieval hit. David Thaxton was a commanding presence as Arthur, but also brought a lot of humour to the role. Even whilst performing in a concert setting Thaxton convicted entirely as the brave and all too trusting monarch, and one can only imagine how fabulous he’d be in a fully staged version of the musical. Celinde Schoenmaker was another standout performer, playing the witch Nimue. Although she had very little stage time, she made a huge impression, her glittering soprano adding some ethereal magic to the proceedings. Despite several alterations to the script having been made in order to remove some of the more outdated content which may have jarred by today’s standards, the book still felt a bit too archaic at times, and there was a distinct lack of roles for female performers, although Savannah Stevenson gave a very believable performance as Guenevere. The story also felt generally uneven, with the first half ambling along leisurely for the most part, before the second half quickly spiralled into chaos. That being said, the musical balanced humour and drama cleverly, and was verily enjoyable despite its flaws. 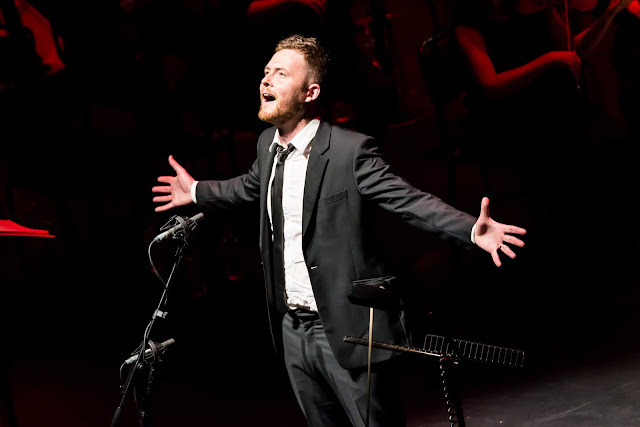 London Musical Theatre Orchestra’s Camelot in concert was a musical theatre lover’s dream. Be sure to keep an eye out for their upcoming production, which are guaranteed to provide a fantastic few hours of lush playing and thrilling performances.